If you’re a stay-at-home mom, then you may feel like you’re working a full-time job without any pay. Everyone knows how difficult it is to tend to the kids and the household duties every day, and it can also put a strain on your budget. There are a lot of options to make quick money on the internet. You can take paid surveys, sell items on Craigslist or eBay, or any number of things that can be tedious or not as lucrative as advertised. 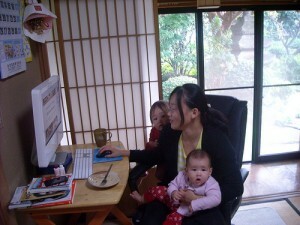 Many stay-at-home moms have started turning to Forex trading to add a little extra income to their bank accounts. What Exactly is Forex Trading? Forex trading might seem a little bit like trading on a traditional stock market at first, but, in reality, it’s a little bit different. Forex standards for “foreign currency exchange,” and it’s essentially a market that tracks the ups and downs of different currencies as they relate to one another. Currencies on the Forex markets are always traded in pairs, because you always have to have something to compare one currency against. A common currency pair is the Euro, U.S. Dollar (or EUR/USD). The goal is to predict whether the Euro will increase or decrease in value compared to the USD. You can buy the pair if you think the Euro is going to rise in value compared to the dollar or sell the pair if you think the opposite is going to happen. It’s a simple concept and it’s one that has helped stay-at-home moms add a few extra funds without doing a lot of work. Of course, Forex is far from a surefire way to make money, and it’s important to understand the intricacies involved in the Forex market. It’s not something that you can start doing and make money right away. You need to understand how to recognize trends and make the smart decision based on them. Playing it safe and making smart choices on the Forex market are a good way to pull in some regular income. As families are strapped for cash more than ever, every member of the household is being forced to contribute monetarily in one way or another. The amount of women in Forex trading has increased exponentially because the platform is a simple way to potentially make money that doesn’t interfere with your daily activities. Of course, you can create an account on a number of different broker websites and start trading within minutes, but it’s probably best to practice on a demo account to sort of get a feel for how things work. Another way to become a Forex success story is to enter the ForexCup (or similar competitions). These are essentially contests that reward those who can make the most profit using simulated demo accounts. The ForexCup is run by FXOpen and it’s available to anyone who has an account with them. Winners of the cup usually receive access to an account full of real money that they can use on the actual Forex markets. Some past winners of the ForexCup have been women who use Forex trading as both a hobby and a source of income. In 2012, a woman from Moldova won the ForexCup by increasing her demo account total from $5,000 to $52,710. Another recent winner was a woman from Jordan who increased her base $5,000 to nearly $30,000 for the victory.